These are my favourite socks out of the ones I have made so far. Love the colours and they fit really well. 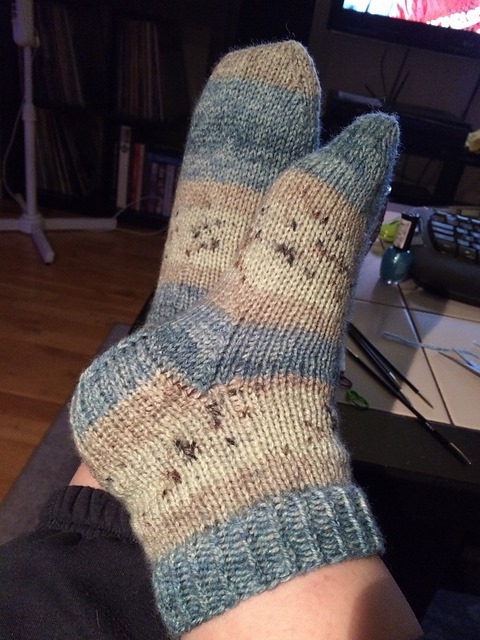 The pattern is again: “Incredibly easy socks” By: Tracy Darby. This entry was posted in Knitting / Stickning and tagged socks.